So after tens of hours of research, you finally figured that a cast iron sink is probably what your kitchen is desperately waiting for. Well, we must say that your research really paid off, as it was certainly a wise decision to make. 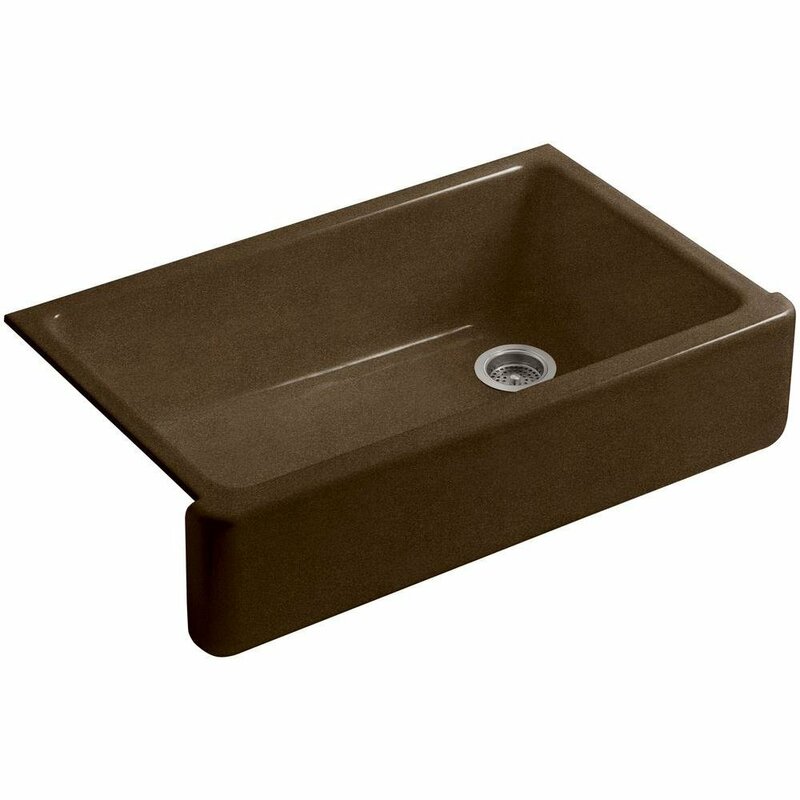 Cast iron sinks are super durable, look great and are usually a breeze to clean. What’s more, they even offer you something that their arguably closest competitor, a stainless steel sink, doesn’t – color options. However, this doesn’t mean that they are a clear winner, though. They certainly do offer some unique advantages over their counterparts, but there a few things about them that may disappoint you down the road if you aren’t aware of them beforehand. While we will get to them in a bit, let us give you an idea of what we are talking about. Many buyers don’t take the installation hardware issue into consideration when going for a cast iron sink. Now, the drop-in sinks are not a problem here as you can install them without any kind of additional hardware. However, when it comes to the undermount cast iron sinks, you will require something massive to support the huge weight of the sink. Of course, this may not be a major issue per se, but just something to consider as different types of kitchens have different needs and limitations. That said, if you’re aware of the few downsides of cast iron sinks and they are not a problem, you probably can’t go wrong with one. They come in many different types and shapes today which make them even more attractive. Oh, and when it comes to the durability, a good cast iron sink is certainly going to give your kitchen a run for its money on that front. 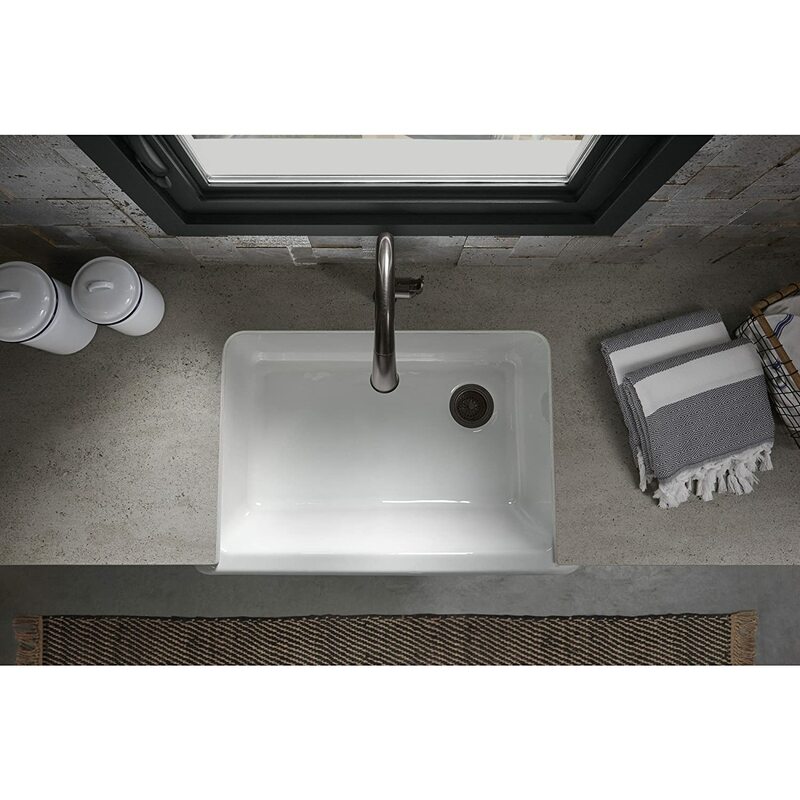 If you spend some time picking the right cast iron sink for your needs, you will likely be extremely pleased with your purchase and may not have to replace it for a generation or two. How to Find the Best Cast Iron Sinks to Choose From? While the name does a good job of telling you exactly what cast iron sinks are made of, there’s a bit more to them than that. Also, not many know what to expect from cast iron as a material, so it certainly deserves an explanation. Cast iron is a hard, brittle material that’s known for being incredibly durable. A cast iron sink is made of cast iron for the most part, but the coating isn’t cast iron; it’s porcelain enamel. 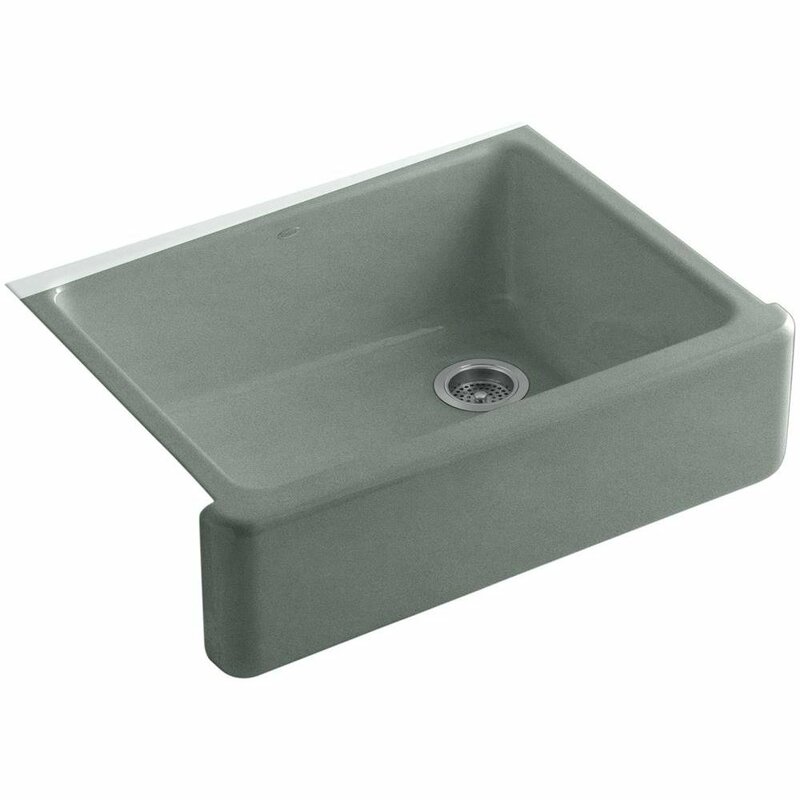 Many cast iron sinks actually have recycled or reclaimed cast iron as their main material, which earns them the title of a “green” option as far as kitchen sinks are concerned. Coming to the porcelain enamel, it forms the surface of the sink. It’s also the reason for the sink having an attractive look and feel, thanks to its shiny, smooth finish. Also, as porcelain enamel is made by subjecting porcelain to a very high degree of heat, it turns out to be brittle but durable as well. While this gives the coating its attractively shiny finish, it also helps in acting as a protective covering for the cast iron foundation of the sink. 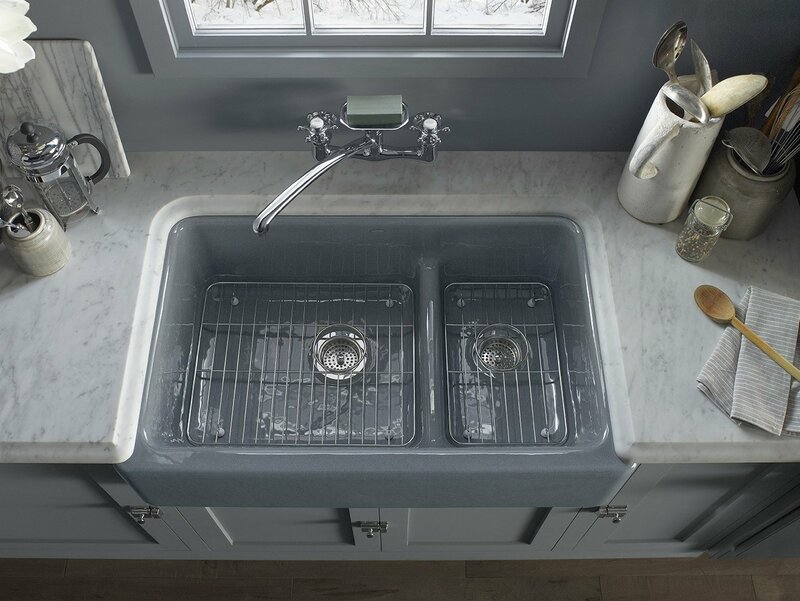 Now, if you’re someone proud of your vocabulary, the word “enamel” may have come off as a bit surprising given we are talking about kitchen sinks. Well, while enamel usually does refer to paint, in this case, it simply means the type of “coating” that we discussed above in detail. 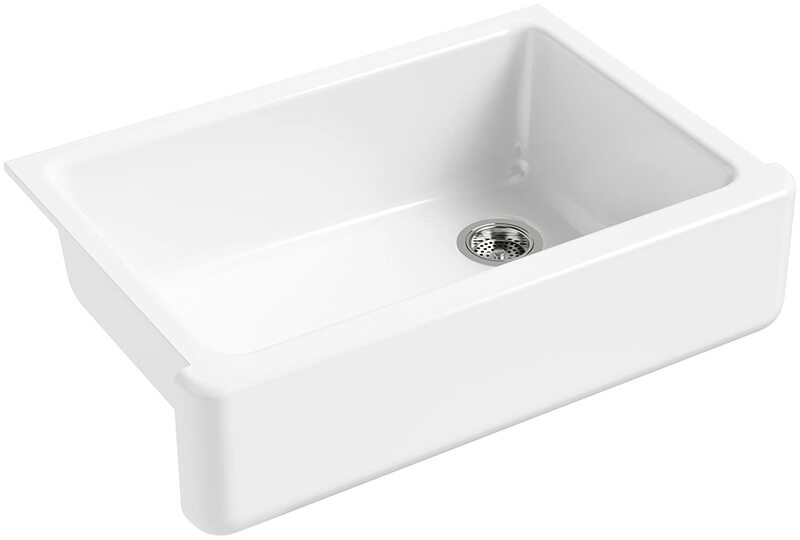 So to sum it all up, cast iron sinks tend to be on the heavier side, are the more attractive ones of the lot thanks to the porcelain coating, and are generally amazingly durable. Well, although cast iron sinks, in general, are a great option, as with pretty much all types of products, some are just better than the others. So how do you ensure you’re choosing from the best options on the market? An ideal way to base your final decision off of is by taking all the pros and cons into consideration. We will be discussing the general advantages and downsides of cast iron sinks below, but you can consider picking one that offers more of the pros and better handles the cons. 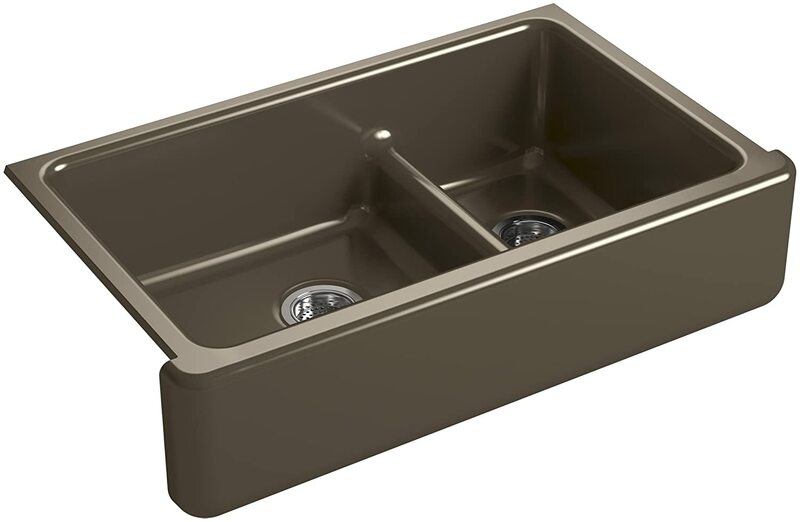 We have already discussed quite a bit about the kind of durability cast iron sinks bring to the table. However, it’s also important to note that unlike stainless steel or solid surface sinks, they don’t develop cracks or dent. The most that may happen is the surface losing its shine a bit unless you’re too rough with the way you use it, in which case it may get chipped. If you take some care of its maintenance needs, however, a cast iron sink might as well outlast your kitchen. 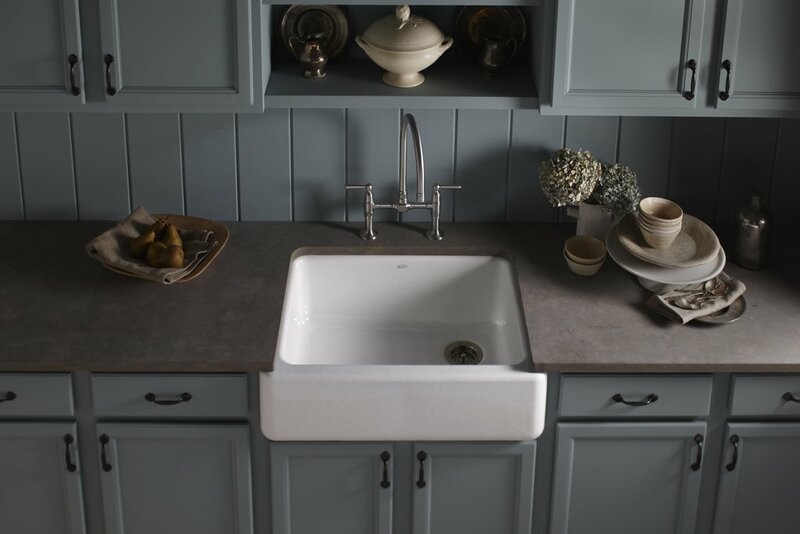 The porcelain finish that you get with a cast iron sink is probably the best you can get in terms of attractiveness when it comes to kitchen sinks. 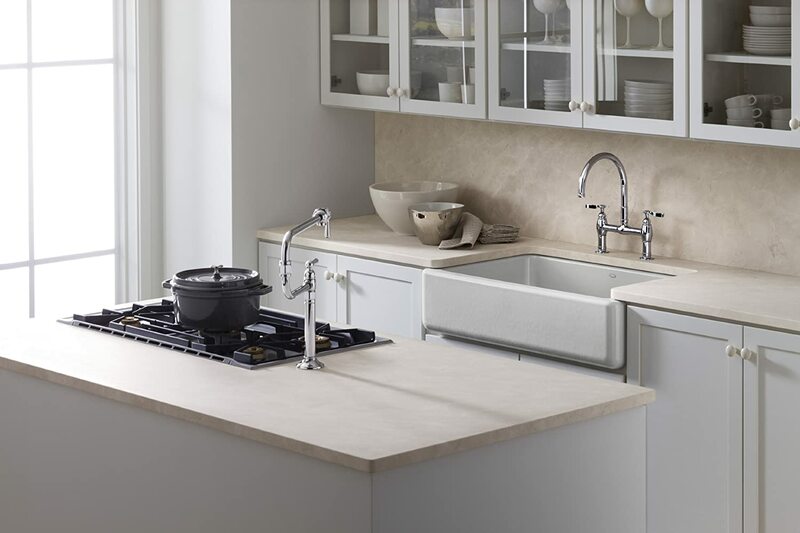 The appealing finish, coupled with a wide range of color options to match the visual look and feel of your kitchen, is sure to enhance its overall value. This may differ depending on the type of cast iron sink you get, but if you get the drop-in or top-mount one, you’re really going to enjoy installing it especially if you’re into DIY-ing. This sink is secured with the sealant that it comes with, so you just need to “drop in” the sink and use the sealant to secure its edges. You wouldn’t see the kind of water spots a stainless steel tends to get on a cast iron sink. Its glossy surface and lighter colors (unless you choose something like black) do well to keep the water spots hidden. Its non-porous coating doesn’t let stains easily make their way to its surface. Similarly, it’s easy to keep clean thanks to the smooth surface, although stains can’t be avoided altogether (which we will get to below). The brittleness of the porcelain coating makes it vulnerable to getting chipped if something is knocked on the sink’s surface very hard. Similarly, you also need to be careful with the cleaning agents you use, as the wrong ones can lead to scratches and wearing of the surface. If the porcelain ends up getting chipped in any way, the part of the cast iron underneath will get exposed. And over time, the constant exposure to moisture will lead to rusting of the cast iron. While the chipped porcelain can be replaced, it’s durability is not going to be the same and it will lose its attractiveness quite a bit. This is because it requires a massive base as support to handle its weight. Many times, this calls for the base cabinetry that supports it to be modified in order to provide the right amount of support. If you keep things like teabags and coffee grounds directly on the surface of the sink, then it may develop stains that are hard to get rid of. The surface also tends to get colored scuff marks if something heavy is simply dropped into it without being careful. While these stains and colored marks can usually be removed using the right cleaning agents it may turn out to be quite a task. The porcelain finish is kind of allergic to aggressive cleaners and using them will leave scratches on the surface and lead to other kinds of damage to it.